High Moon Studios latest game Transformers: Fall of Cybertron has been one of my most anticipated games of 2012. It is a direct follow up to their game Transformers: War For Cybertron. I enjoyed War For Cybertron quite a bit back in 2010 and felt that it was the best Transformers game I had played to date. Could this new entry to the series continue that momentum? Would it become the best Transformers game I have played? We will have to get to that. Transformers FoC is a third person shooter and has three basic game play modes. There is the single player campaign, escalation and the online multiplayer. There is not technically a cover based system even though it is a 3rd person shooter. You are able to hide behind objects, but in most cases instead of taking cover you are transforming and maneuvering out of the situation or taking advantage of vehicle modes extra armor. The single player campaign is broken into several chapters. Unlike War for Cybertron there is not a separate campaign for Autobots and Decepticons. This time you play through the chapters as different characters to get their perspective of the events that are unfolding. There is not a co-op mode for the campaign this time, while that is disappointing I do believe that the games single player does benefit from the decision. The developers did not have to ensure that any of the Transformers that were available could clear the chapter. This go round they were able to build levels that catered to each of the playable characters abilities. The game does offer a good bit of variety throughout the campaign. There are times where you are blasting players apart as Megatron or Optimus Prime and there are times where you are relying on stealth or other special abilities. Both the shooting and camera both feel improved compared to the first game in the series. One of the other additions to the game is the Teletraan 1 store. This is where you can buy perks that are applied to all characters. Also once you find their blueprint you can buy and upgrade weapons as well. Escalation is basically the games horde mode. You team up with friends or random other players into a four person team and you face waves of enemies. You are able to buy weapons and ammo to help you survive. I have not played in this mode much, but I can already see this is where there may be some longevity added to the game. Multiplayer is class based game play that has four different game modes. My personal favorite is conquest. It is a mode where you are in a constant battle to control three different areas of the map. You gain experience points every time you take back an area. There is also the standard team deathmatch, capture the flag and a new mode called Headhunter. This new Headhunter mode may become my favorite mode to play in. Not only do you have to kill your enemy, but you must collect their spark to get credit for it. All of these modes can be played with the four different classes - Titans, Infiltrators, Destroyers and Scientist. Each class has a variety of customizable options. There are weapons and upgrades that you unlock as you level your character up. These give you more options as to how you want to play. To me some of the most fun comes in the character customization. You can use the money you earn in the online matches to buy new parts or armor sets. Then you can mix and match these and create a Transformer to play with. All in all I am very happy with my purchase of Transformers Fall of Cybertron. It picked up right where War for Cybertron left off and improved the game play. At times the difficulty does ramp up quite a bit, but I enjoyed the challenges that it did throw at me. 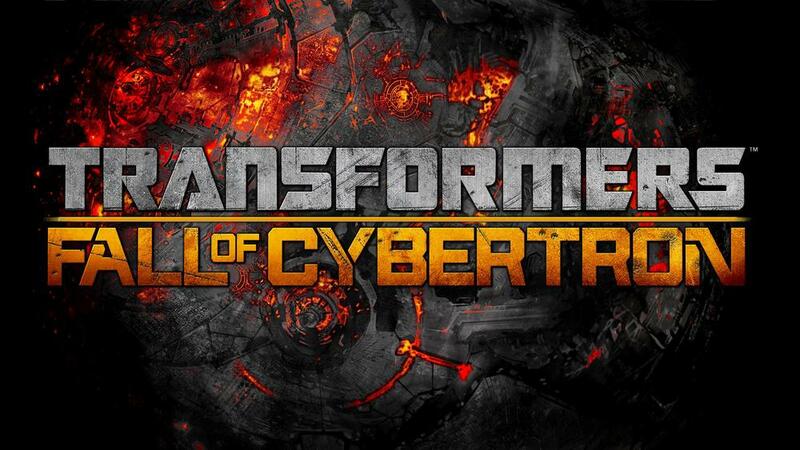 If you enjoyed War for Cybertron or if you are a fan of Transformers I am betting that you will enjoy the game too. I played Transformers War for Cybertron on the Playstation 3 in the normal setting. It did lock my system up a few times over the course of playing the single player campaign. I typically played one to two chapters a day, but if time would have permitted I could easily have played the game in two sittings. I broke it apart into a chapter or so each day as I had both my seven and six year old boys watching me play through it. To them it was like they were getting a new Transformers episode each day. In online multiplayer I have leveled each class to the following: Infiltrator 11, Destroyer 6, Titan 5 and Scientist 11.